SVSOLID™GT is a 1D, 2D and 3D finite-element program for geotechnical earth structures. The software can solve both simple problems and complex staged construction or excavation problems involving elasto-plastic soft-soil behavior and consolidation as well as the elastic deformation of rock materials. The SVSOLID™GT software is designed for determining the stress state and deformations in soils under various loading conditions. SVSOLID™GT contains the newly integrated high-performance SVCORE™ Finite Element Engine solver specifically designed to solve stress-deformation problems efficiently. 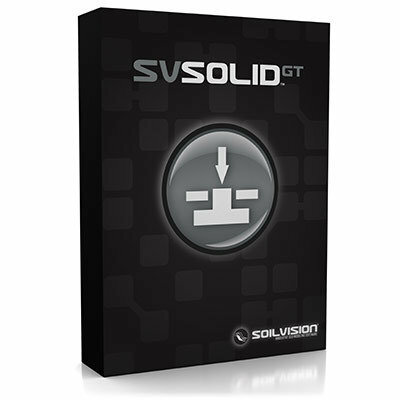 SVSOLID™GT is applicable to geotechnical, civil, and mining projects.